Last year, we produced a video about our athletes that featured them displaying signs. On the first side it says what society told them they could not do, and on the other side it tells what Special Olympics says they CAN do! We shared this video a while back, but thought it would be good to post again, both as a refresher, and for our new followers that may be seeing for the first time. We hope you enjoy! 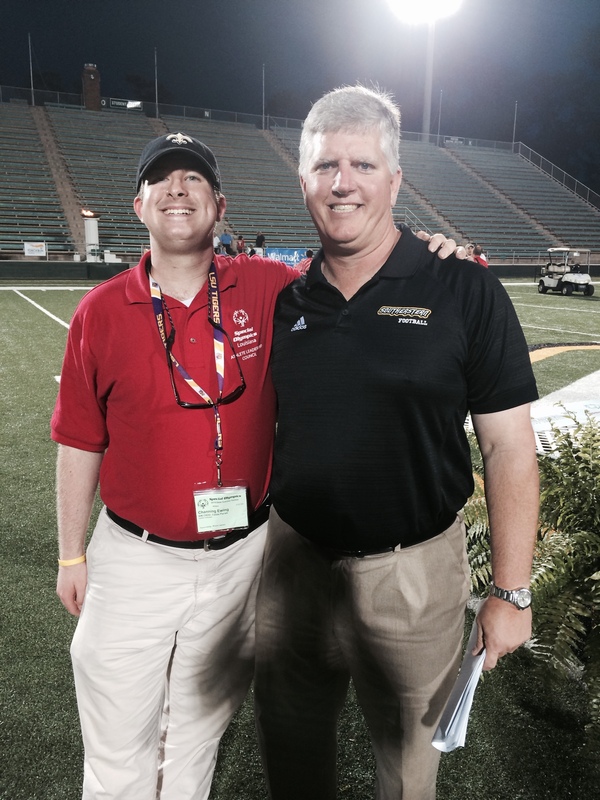 At our recent State Summer Games we had the privilege of meeting and learning about Special Olympics Louisiana Acadiana athlete, Allix Chapman. Allix is from Lafayette and competes in bowling, athletics, basketball, and volleyball. She is an outstanding bowler. She was on her school bowling team and competed in the semi-regional tournament as an individual in 2012. Aside from decorating beautiful cakes, Allix has compassion for others. She lives close by a homeless shelter that houses 120 women and children. Every month Allix finds out the birthdays of the women and children in that month and what they like. 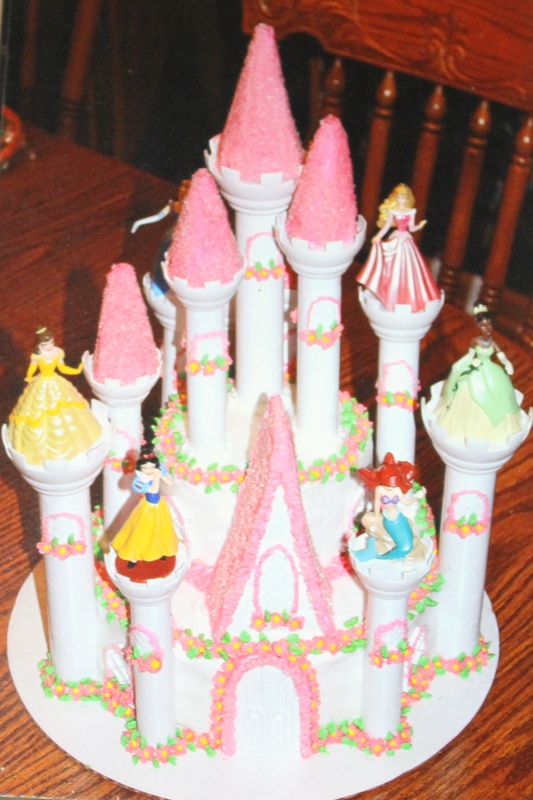 She then personally bakes and decorates them a cake and hand delivers it to them on their birthday! She also bakes hundreds of cupcakes and distributes them at the St. Joseph Diner for the less fortunate. Recently, Allix was hired part time by Indulge Bakery in Lafayette where she will continue to perfect her skills and help others. Read more and see more pictures on the blog written by Allix’s cousin, Learning by Paradox. Project Unify will kick off Year 7 this September and we are happy to be a part of this great movement! Here is a great saying that depicts what Project Unify really is… You can’t spell “Challenge without Change!” Because, with Project Unify, we are facing the challenges and changing the world! Thank you to all who have served our great country! We are excited about the friendships that will be made this weekend at the Games! State Summer Games starts TOMORROW! 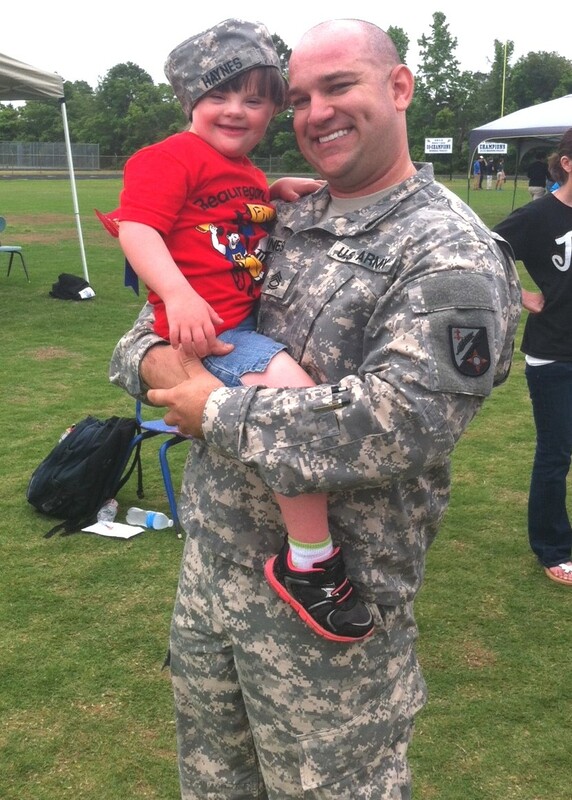 State Summer Games will kick off tomorrow evening with our Military flag football game at Southeastern Louisiana University’s Strawberry Stadium for 6pm! After the game, Opening Ceremonies will get under way for 7:30pm. We invite all to be a Fan in the Stands tomorrow night and cheer on our athletes! You will witness the arrival of the Olympic Torch, escorted by Law Enforcement officers completing the 1,000-mile Torch Run relay, the lighting of the “Flame of Hope” and the Parade of Athletes. Then, on Saturday, the fun continues as we start competition! Our athletes have trained long and hard for this event and are ready to go. They will compete in the sports of athletics, bocce, power lifting, and volleyball. Along with these competitions on Saturday, Healthy Athletes and Olympic Town will be taking place. Competition will wrap up on Sunday afternoon. We would also like to mention that Raising Cane’s in Hammond, LA will be doing a fundraiser for Special Olympics Louisiana on Saturday and Sunday! On Saturday, look for the Raising Cane’s tent by the track. Here, you can purchase tea and lemonade for $1 and all proceeds will benefit Team Louisiana. Then, on Sunday, head over to the Raising Cane’s location (2035 W. Thomas St. Hammond, LA) between the hours of 10am-2pm and MENTION Special Olympics Louisiana! Cane’s will donate 15% of the profits to SOLA! Well, there you have it folks. We look forward to seeing you at State Summer Games this weekend! Oh, one more thing…be sure to Facebook and tweet us this weekend using #SOLASG!